There aren't too many truly great rock bands that you could say were ground-breaking when they first emerged but New York's Living Colour was certainly one. With their unique brand of metal, funk, jazz, hip hop, punk and alt rock, mixed with a passionate social conscience, the band rose to fame with their debut album Vivid in 1988, featuring the mega hit Cult of Personality, which earned the band their first Grammy Award for Best Hard Rock Performance. 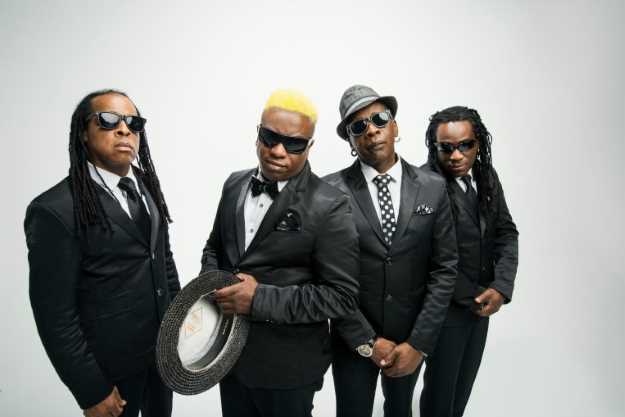 Living Colour went on to enjoy a successful recording and touring career through to 1995 when they disbanded. The guys got back together in 2000 and have released several albums since, including their latest recording Shade. They are one of the most exciting live bands in the business and will return to Australia once again in a couple of weeks to perform a large portion of their legendary debut album Vivid. Ahead of the tour Australian Musician's Greg Phillips was thrilled to chat with band founder and lead guitarist Vernon Reid. I remember when we were driving home ... my goodness ... we were driving in Florida. It was late at night and our manager at the time who was also our road manager, was listening to the radio and said .. I'd like to hear one of our songs just once on the radio. He turned ... It was a foggy night ... and Middle Man got played on the radio and that was an amazing moment. We all woke up, it was pretty great. You'll soon be touring Australia and playing a large chunk of the Vivid album. When you recorded Vivid, what expectations did you have for it? You know, literally ... we were just happy that we'd gotten that far. We had no idea what was going to happen and it took a lot of blood sweat and tears to get to that point. Just getting to that point was enough at the time. We'd done the Middle Man video and it didn't really blow up at the time but we had a second shot at it. Back then it was like 3 strikes and you're out. Labels would give you at least 2 shots at it. If you were lucky anyway you had 3 strikes. So we had a second shot. I said Cult of Personality is the tune, we made the video and it happened to hit MTV at a particular moment that was happening with MTV. It also got played on the radio and Philadelphia was the first station to play it and it took off. It was a great feeling but a strange feeling. Has your stage rig changed drastically from the Vivid album to now? I imagine there's been a bit of a journey without going into too many specifics? I used to travel with tall racks and I had a really elaborate pedal switching system. Technology has really changed a lot. I used to have to do crazy work-arounds, switching-wise so that I could change something and it would happen for me at the same time. Right now I am using a Line 6 Helix and I am thinking of maybe doing a combination of Helix, Kemper and also some pedal and things. I'm working it out now and I think I'm enjoying what I am hearing. It's going to be pretty crazy stuff. I do actually. I do like the programming aspect and the mixing and matching. You know, I'll try this thing there. I'm always tweaking. Instead of doing the crazy last minute ... in the hotel room before the tour trying to sort everything out, I'm actually engaged in doing a bunch of stuff here at the house now. Well you can always have a bad cable. That can happen to anybody. I've had moments of sheer panic. When I turn everything on and it all works, I'm like wow! I always have a wow moment and go oh it's working! So I am happy whenever that happens. Over the years I have to say ... anything can go wrong but for the most part, once things are set ... knock on wood, I haven't had too many complete nightmares. Well here's the thing ... I am actually deciding that now. I always have at least two guitars with me. A lot of people travel with 5 or 6 guitars but shipping that many guitars starts to become a bit expensive. Vernon Reid's main guitars recently have been: Parker Dragonfly DF824VR, Parker Dragonfly Vernon Reid Signature Maxxfly, Hamer Chapparal, PRS S2 Vela Vernon Reid signature guitar, ESP Mirage. You mentioned Jan Akkerman of the 70s Dutch band Focus in an interview I was reading this year. He's not someone who gets the recognition he deserves. What is it that you like about his guitar playing? Jan Akkerman is one of the guitarists who really early on, very successfully fused jazz phrasing and a jazz approach with his rock playing. To me he was unusual for his tone, his approach. He was really very avant-garde in his approach in terms of hard rock and metal. He's also a classical person, played classical guitar as well. He's one of my favourites because earlier on, he was one of the musicians who didn't really pay attention to the boundaries between styles. He was a very unique player and I love the Hagstrom Swedes. Everybody is focussed on Les Pauls but 70s Swedes are wonderful guitars. I love the headstock of those guitars, incredibly stylish and they sound wonderful. He's someone that I hold in high regard. Him and Tommy Bolin, Robin Trower, Jeff Beck ... a lot of the 70s guys were iconoclastic back in the day. Jan Akkerman is really a favourite. Clearly unique musicians with a unique sound and approach. Bill Connors the first guitarist with Return to Forever, I loved his playing. He was incredibly emotional as well as being technically advanced. These are all people I love a great deal. You've been to Australia many times. How familiar do you get with our cities? Have you found your favourite hang out places, cafes, bars etc? There's a big market in Adelaide. Mainly it's a food market but they sell craft and clothing and I love that place. I'm going to try to go there on this trip as well if I can. They matter a great deal. Everybody is very varied in their tastes and varied in their outlook. 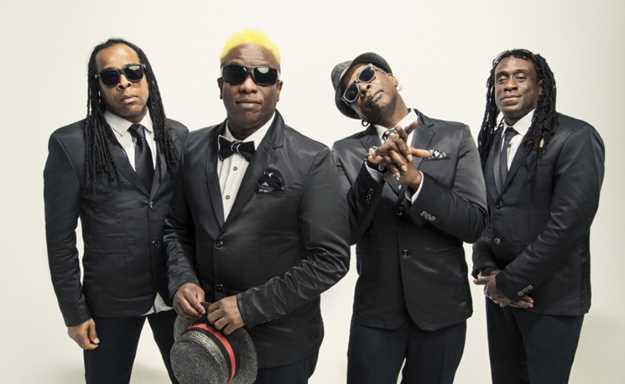 When Living Colour comes back together we come back to centre. It was very important to me to produce those James Blood Ulmer blues records and part of those experiences of reconnecting with the blues, working with James they helped to inform what I did on our record Shade. So that's an example. That's one of the things about when we all go off and do our various projects and productions and we bring those things back to centre. I did a soundtrack for a very short VR film, virtual reality film, it's called Ashe 68 and it's about Arthur Ashe the tennis player, winning the US Open in 1968. So there was a short music score for it, which I did for a film maker named Brad&nbsp;Lichtenstein, who I have worked with on a number of projects and he is one of my favourite people on the planet. That film is going to the Sundance Film Festival and that is super exciting. I don't know if I am going to go. I have a solo album that I will be making for this label Mascot. I am working out where I want to go with that. I made a record years ago called Mistaken Identity and I was kinda working with DJ, hip hop things. I dunno if I want to revisit that. A friend of mine is a rapper who is going through a lot of things and he's really interesting. He's kind of local again but I haven't seen him in a really long time. I gave him an idea for something and he came back with this incredible thing. There are some other musicians around, some folks that I play with a lot and then there are some other people that I am intrigued about doing certain things with. I don't have a title for it yet but I am thinking about this record that I am going to make. Our time is up unfortunately but we're really looking forward to seeing you down here in Australia in a couple of weeks. Me too. I love it. It's a crazy country with wonderful people. I always enjoy my time in Australia and I am so great that we are coming back so soon and I am really looking forward to the trip.